Another year is coming to an end and changes are about! To celebrate the changing of the years lets explore our stretching and changing bodies by doing the Butterfly or Baddha Konasana pose! Let's allow the new year to change us like a Catepillar changes to a Butterfly! Each week, 2-3 days, we do a 15 minute yoga work out in my home daycare. Kids from 1 1/2 to 4 do this and each does as much as they are able and in a way they are capable of giving them all get a nice stretch, a scheduled work out time, and some fun new body movements. We do the sun salutations and then add a few jumps, hops, new yoga pose, and teacher assisted summersaults at the end. In doing these poses always consult a doctor first, only attempt what is in your child’s ability level, and do what is comfortable for your and their body. These are only suggestions and like any exercise you and your children try them at your own risk. Have your kid do some sun salutations to warm up! Once warm find a comfortable seat on the floor with lots of room for each kid! 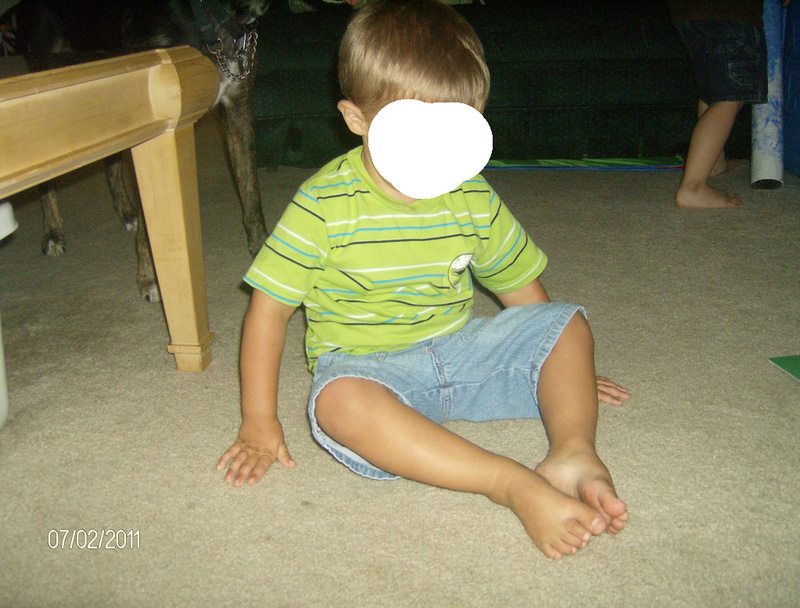 Have the kids sit with legs extended straight in front of them. Inhale sucking one foot to the other legs knee! Exhale releasing the knee to the floor like it was pushing the air out of a balloon (silly balloon loosing air sounds are welcome). Inhale the other knee bent with that foot on the ground next to the other foot. Again, push the air out of that balloon with crazy exhale noises releasing the knee to the floor so both feet are touching if possible and facing each other. Kids can hold onto their feet or hands can be at their sides whichever is most comfortable. Tell a butterfly story, read a butterfly book, or talk about the butterfly life cycle. Now, like a butterfly unfolding from its’ chrysalis, release both legs straight again! Wave goodbye to your beautiful butterfly flying away in the soft cloudy sky! Remember never to push kids past their place of comfort. Some kids will barely have their knees bent while others will have them as far as possible. Like each butterfly every child is different and so their butterflies will be as well, this doesn’t take away from their beauty only adds to it! To close, find the acceptance in yourself as you take notice of where you are at in your pose and in your life, accept this and then move past it to the next stage as you metamorphous into the beautiful butterfly that you are meant to be! I love this post. My child just discovered yoga and I am hoping that we can do some yoga together soon. Great suggestions for inspiring kids to be active! I love yoga for kids, because a lot of the positions come naturally for kids! That and a lot of them are based on animal shapes, so kids get to pretend to be an animal while exercising! Thanks for the comment@Kristen!